For nearly 20 years now, multi Dove Award-winning Curb recording artist Selah has brought hope and healing while introducing classic songs of faith to a new generation. Selah is also well known to Gaither Homecoming fans, having appeared on such beloved Homecoming videos as Church in the Wildwood. 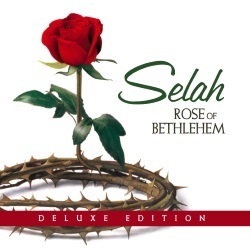 Now, vocalists Todd Smith, Allan Hall and Amy Perry revisit Selah's 2002 landmark Christmas recording, Rose of Bethlehem, with a newly released Deluxe Edition. The updated collection showcases five bonus tracks alongside the classic project’s 10 selections. Highlighted by the modern Christmas hymn “Dance In The Dawn,” produced by Ed Cash (Chris Tomlin, Crowder), Rose of Bethlehem: Deluxe Edition’s new recordings also include an African-influenced rendition of “Little Drummer Boy”; “Where Are You, Christmas?” showcasing lead vocals from Selah’s Amy Perry; and “God Rest Ye Merry Gentlemen/We Three Kings,” featuring the Annie Moses Band. In a video greeting created especially for Homecoming Magazine, Todd, Allan and Amy share special memories from a Gaither Homecoming taping and perform their beautiful song "Dance in the Dawn." Enjoy!